The widely anticipated and talked about Samsung SPH-N270 "Matrix" phone was approved today by FCC. 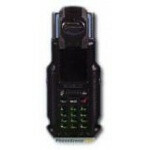 The CDMA phone will be featured in the upcoming sequel  Matrix Reloaded. The FCC photos show a Sprint PCS logo on the back label of the phone.